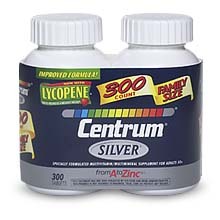 Discounted Major Nutritional Brands - Centrum®, Nature Made®, Schiff®, TruNature®, Natrol®, One A Day®, Weider®, Claritin®, Flintstones®, Kirkland Signature™, and much more.. Product Status: Replaced or Discontinued! You are being re-directed to this page because the product you are searching for has either been Replaced by another product or Discontinued at MedicalProvisions.com. To be sure, you can conduct a search above by entering the product name and pressing the "GO" button. Lowers Cholesterol from Dietary Causes! Lowers Cholesterol from Dietary & Genetic Causes!